• BAGUAL, c. 1937, BRZ. • NEBRASKA., f. 1935, BRZ. • UBAINA, f. 1935, BRZ. • PAPARY, c. 1933, BRZ. • RELVA, f. 1932, BRZ. • EPATANTE, f. 1931, BRZ. • ZUMBAIA, f. 1930, BRZ. • ZAGA, f. 1930, BRZ. • YOUNG, c. 1929, BRZ. • YAPU, c. 1929, BRZ. • YAGAMATA, c. 1929, BRZ. • YOLANDA II, f. 1929, BRZ. • XIRIRICA, f. 1928, BRZ. • XYLENO, c. 1928, BRZ. • XANGO, c. 1928, BRZ. • XENON, c. 1928, BRZ. • XAL, f. 1928, BRZ. • XAMARIE, f. 1928, BRZ. • VERSAILLES, f. 1927, BRZ. • VINDICTA, f. 1927, BRZ. • VICHY, f. 1927, BRZ. • VENUS III, f. 1927, BRZ. • VENDOME, f. 1927, BRZ. • URSULA, f. 1926, BRZ. • UGOLINO, c. 1926, BRZ. • UKRANIA, f. 1926, BRZ. • TOCAIA, f. 1925, BRZ. • THEREZINA, f. 1925, BRZ. • TOPS, c. 1925, BRZ. • TENEBREUSE, f. 1925, BRZ. • TIARA, f. 1925, BRZ. • TIRIRICA, f. 1925, BRZ. • MARANGUAPE, c. 1924, BRZ. • SEM MEDO, f. 1924, BRZ. • SEVRES, f. 1924, BRZ. • SEM RUMO, c. 1924, BRZ. • ROCA., f. 1923, BRZ. • RIGA, f. 1923, BRZ. • RELIQUIA, f. 1923, BRZ. • RAFALE, f. 1923, BRZ. • QUATIARA, f. 1922, BRZ. • QUEIXUME, c. 1922, BRZ. • QUESTOR, c. 1922, BRZ. • BOI TATA, c. 1922, BRZ. 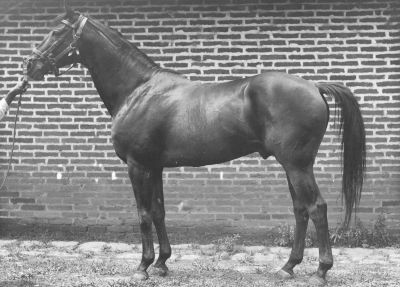 • TANGUARY, c. 1922, BRZ. • QUEIXADA, f. 1922, BRZ. MASTER KILDARE, c. 0000, ---. VIOLET MELROSE, f. 0000, ---.